Couples Tower Isle Resort - Caribbean & Co. 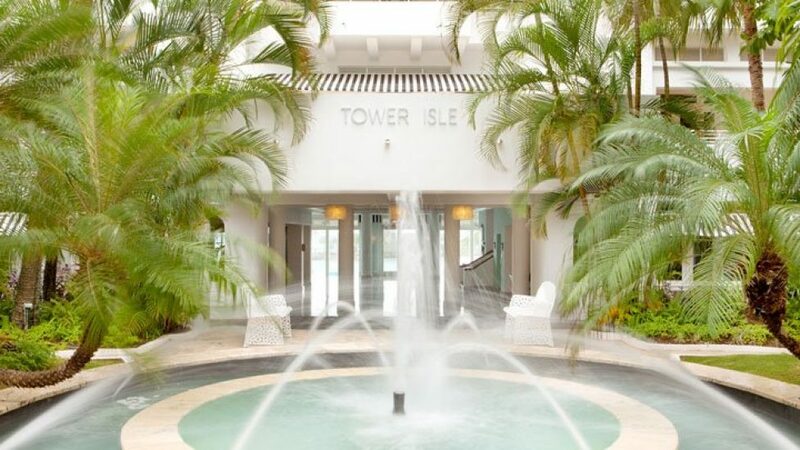 Couples Tower Isle Resort part of the Couples Resorts group can make your dreams come true. Imagine starting your new life together hand-in-hand on pristine sands, looking out over the crystal clear waters of Jamaica. We promise to make your wedding celebrations nothing less than perfect. From beautiful bridal flowers to delicious dining options, ambiance-setting décor to the very best live entertainment, Couples Tower Isle Resort are dedicated to making your wedding day as special as you are. Whatever your theme or budget, we can create a fantastic package to suit you. From a vibrant beach wedding to a private island escape, we can cater to your every need. Your dedicated wedding planner will arrange every last detail of your dream wedding, leaving you with plenty of time to relax, enjoy your surroundings and take advantage of all our resorts’ luxuries. They will make sure your wedding is flawless from start to finish. Your wedding day is all about you. That is why at Couples Tower Isle Resort, our wedding packages are tailor-made to reflect your personalities and your love for one another. The wedding planners will suggest heart-warming personal touches and turn your visions into a celebration that you and your guests will remember for the rest of your lives! Destination weddings are not necessarily more expensive than a traditional home wedding. Our packages are cost-effective and transparent meaning there are no hidden extras. Instead of worrying about your finances, relax and enjoy every second spent in our luxury resorts. After your wedding, cross the threshold of your luxury room and let the celebration begin. With a complimentary bottle of sparkling wine and a 25-minute couples massage in our superb spa, lie back, unwind and let us pamper you from head to toe. From exciting activities to breath-taking excursions, relaxing spa sessions to the finest cuisines our resorts have to offer, your honeymoon at Couples Tower Isle Resort is guaranteed to be just as amazing as your wedding day.